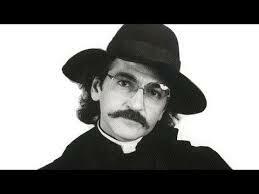 Father Guido Sarducci is a fictional character created by the American comedian Don Novello. 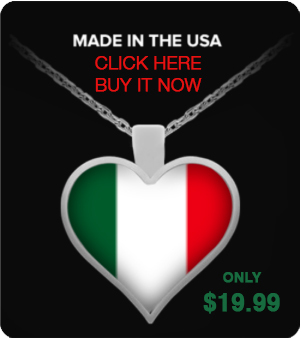 Sarducci, a chain-smoking priest with tinted glasses, works in the United States as gossip columnist and rock critic for the Vatican newspaper L’Osservatore Romano (sometimes mentioned as The Vatican Enquirer, a take-off of the tabloid The National Enquirer). 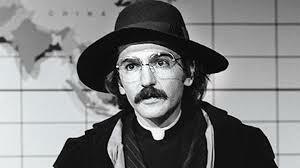 Novello created the character in 1973, after he purchased the outfit (consisting of big floppy black hat, white clerical collar, and a long, red-trimmed black coat with cape) for $7.50 at a St. Vincent de Paul Thrift Store. The character was featured in 1970s cartoons by the underground cartoonists Dave Sheridan and Fred Schrier, appearing in person in the early 1970s on Rowan & Martin’s Laugh-In and later in the 1975 Smothers Brothers TV show. 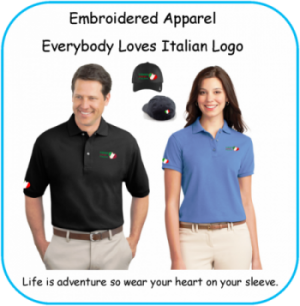 His most prominent appearances were on Saturday Night Live in the late 1970s, during which time Novello was also a writer for the show. 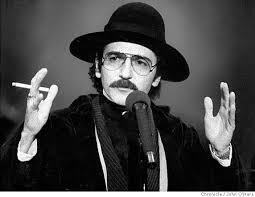 In the late 1970s, Father Guido Sarducci was featured on radio commercials for High Times magazine where he offered to perform blessings for a fee. 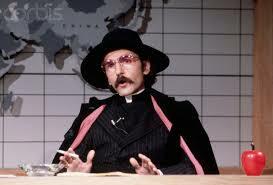 In 1981 Novello made newspaper headlines when he visited Vatican City wearing the Father Guido Sarducci costume to do a photo shoot for Time magazine. After taking pictures in an area where photography was prohibited, he and his photographer, Paul Solomon, were arrested by the Swiss Guards and Novello was charged with “impersonating a priest”. Although the guards attempted to confiscate the film from the shoot, Solomon managed to hand them the wrong film. The charges were later dropped. In the early 1980s, Novello was featured in ads promoting candidates for the priesthood. He listed one advantage of being a priest as getting first pick at the annual parish garage sale.